By Matt Page: a regularly updated blog “looking at film interpretations of the stories in the bible – past, present and future as well as current film releases with spiritual significance, and odd bits and pieces on the bible”. This blog has all the latest information on forthcoming releases alongside detailed reflections on existing films — a gold mine of information for the Bible film buff. By Peter Chattaway, “film critic, journalist, religion junkie, etc.” This blog features regular updates and informed reflections on Bible films. By Peter Chattaway and Matt Page: a useful resource for the latest links and resources on Bible films. By Mark Goodacre: I frequently blog about Jesus films. My posts on the topic are gathered under the tag “Jesus Films”, linked here. Useful web site for a Masters Degree level course at the Institute of Pastoral Studies, Loyola University, Chicago, taught bi-annually (1999, 2001, 2003) by Richard S. Ascough and Peter Gilmour. Now a little long in the tooth. A valuable resource for information on any film. 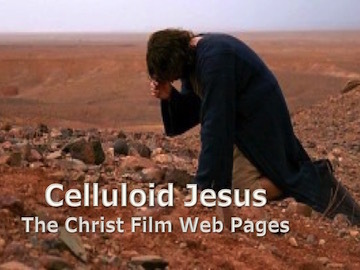 Either enter the film title in the “search” box or go to my entries on each of the films on their individual pages on the here on the Celluloid Jesus website (forthcoming).